Creating Sacred Space with Traditional and New Labyrinths. 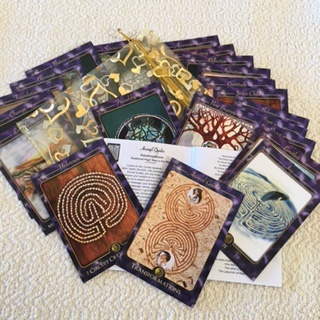 This thirty nine card deck (3.5 in x 5 in) with storage sachet, features original artwork and accompanying booklet by Helen Will. It presents a unique experience within the framework of the healing qualities of labyrinths. Building on the ancient tradition of the labyrinth, this exceptional deck of cards brings with it new energies and information in this time of rapid change in human evolution. A daily practice for spiritual growth, healing, and insight. A twenty three card (3.5 in x 5 in) deck featuring original artwork and text by Helen Will. Comes with an accompanying booklet and storage sachet. 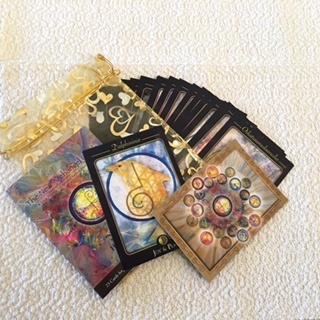 This unique deck of cards carries with it new energies and information from a group of Archangels who have stepped forward in this time of rapid change in human evolution to offer their assistance. The labyrinth has been found in cultures around the world throughout human history. Based on sacred geometry, they are used as a tool for meditation, spiritual connection, healing, and personal growth. Unlike a maze, where it is easy to get lost, labyrinth patterns have one path that leads us to the centre and back out again. In this book you will enjoy thirty-three pages of original labyrinth artwork by Helen Will. 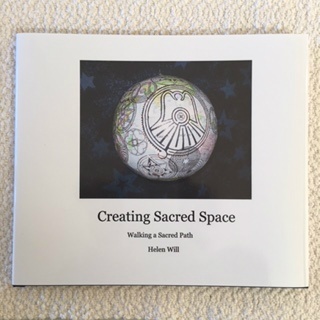 This book is available through www.blurb.com/b/2831544-creating-sacred-space. Please order directly from Blurb. Thank you. 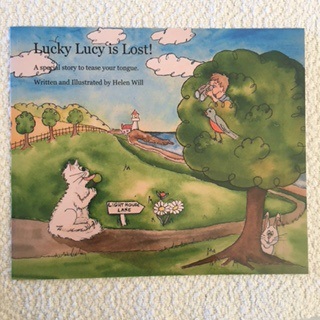 This twenty five page children's book is written and illustrated by Helen Will. Children love searching for images within the pictures during story time. At night, Dream-Catchers are placed over the sleeping area with the feather hung directly over your head. Bad dreams filter through the webbing. Good dreams are caught and pass through the beads and down the feather to the sleeper. 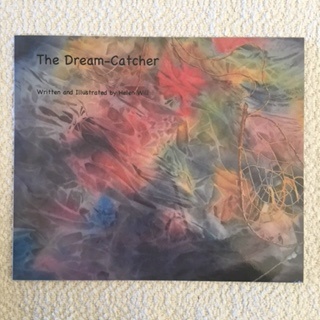 This book is available through www.blurb.ca/b/5167425-the-dream-catcher. Please order directly from Blurb. Thank you. A special story to tease your tongue. Written and Illustrated by Helen Will. A seventeen page soft cover children's book full of tongue twisters and adventure in the search for a beloved cat. This book is still available through www.blurb.ca/b/5171154-lucky-lucy-is-lost. Please order directly through Blurb. Thank you.